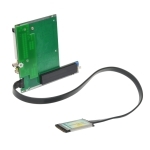 The PE4H V3.2 is designed for Notebook PCs that converts PCI Express 16X add-on Card to ExpressCard or mPCIe connecter or PCI Express slot. 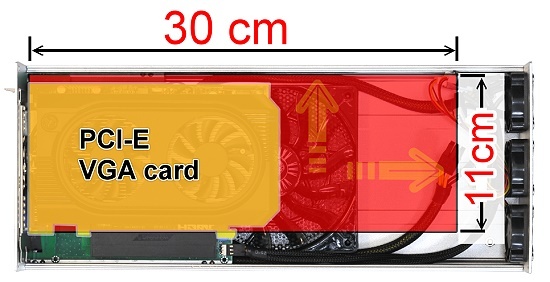 Enclosure can support 12 inch(30cm) full length size and 2 PCIe slot depth, so large graphic card can be installed. 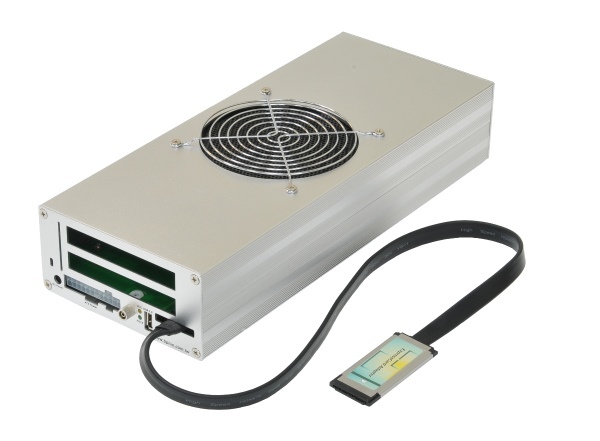 Heat dissipation is deeply considered. 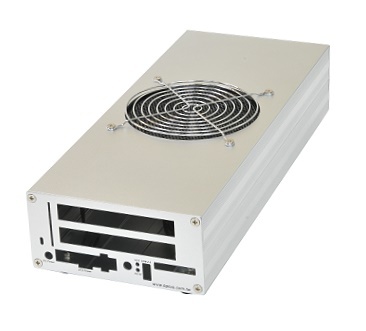 Material of enclosure is whole aluminum and has two large fans for top and bottom and also three fans for rear panel. Also, spin speed of fans can be adjusted on-board rheostat. Can option 120W AC adapter. 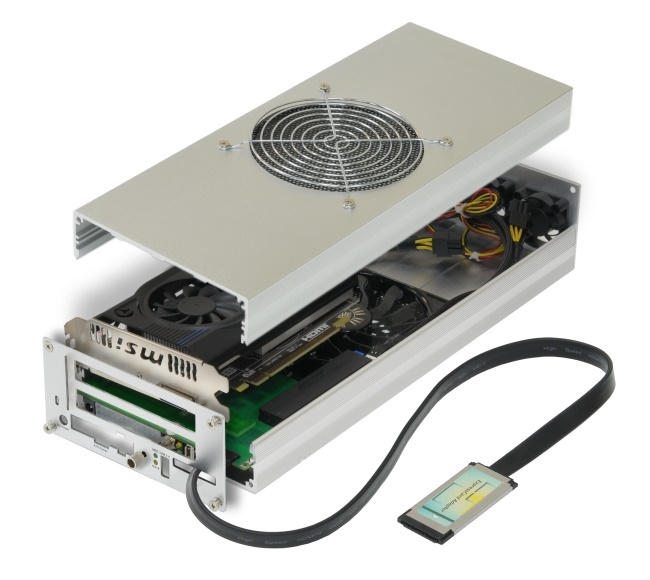 Besides, as ATX power supply can be directly connected from ATX 24pin connector, powerful graphic card can be supported. 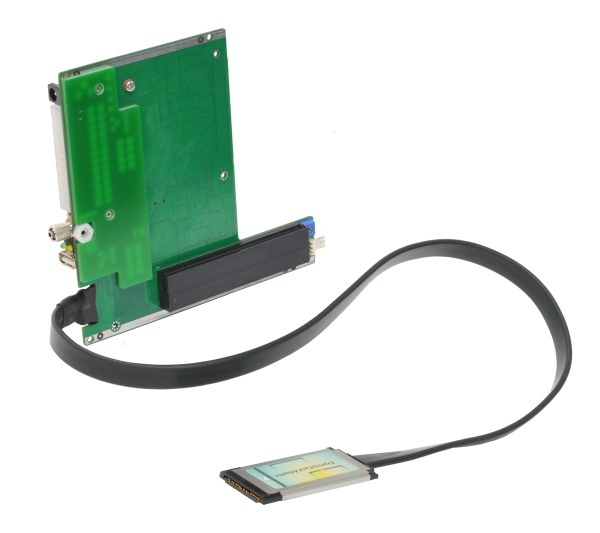 This adapter allows you to use your existing PCI-E 16X Card in the notebook PC or Desktop PC for test. 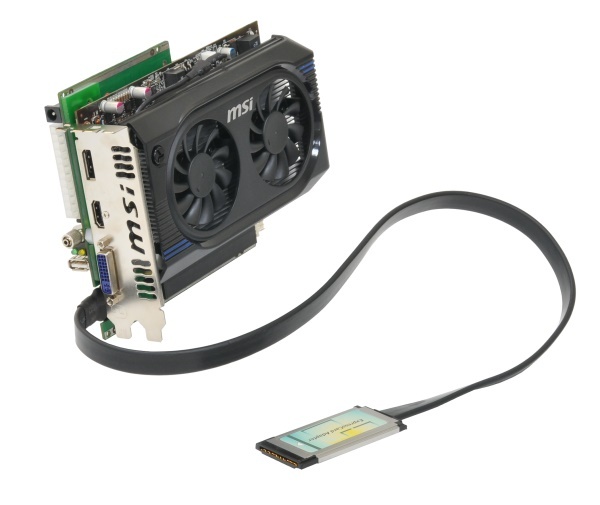 PE4H-PMxxxA V3.2 allows user to test PCI Express x16 Add-in-Card on the PCI Express mini card (mPCIe) slot. 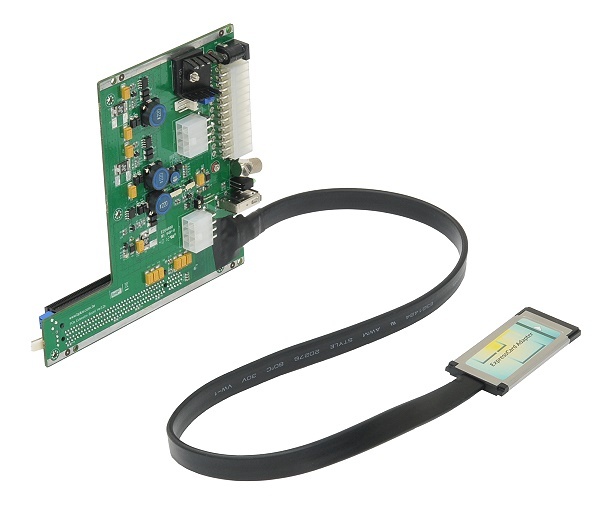 PE4H-HPxxxA V3.2 allows user to test PCI Express x16 Add-in-Card to be extend from PCIex1 (or x4, x8, x16) slot. 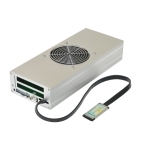 Power Supply: AC Adapter 120W @ 19.5V. 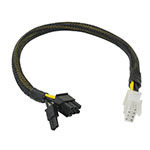 Optional: ATX PSU, directly connect to 24pin connector. Enclosure: Whole Aluminum Body, 2 large fans on top and bottom panel, 3 fans for rear panel. 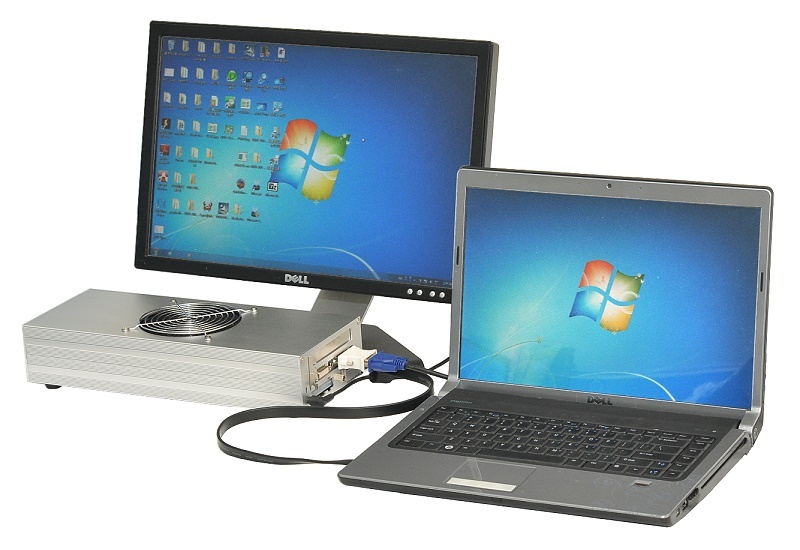 Notebook PC or Desktop PC with an available ExpressCard slot or PCI Express mini card slot or PCI Express slot. PE4H V3.2 design for engineering test. NOT for home or office use. 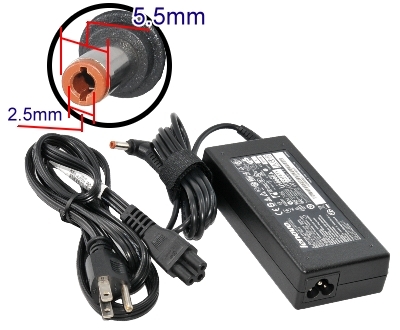 External Power (ATX Power or AC-DC12V adapter) required. 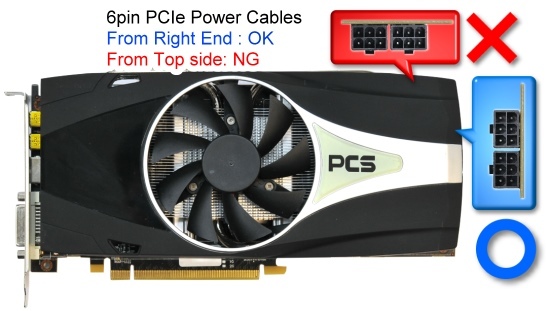 Click the button below to add the PE4H-EC060A V3.2 (PCIe x16 Adapter) to your wish list.